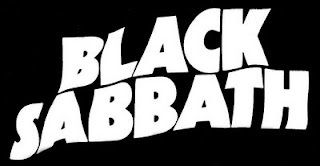 Back in June 2009, I wrote (link here) about the lawsuit filed by Ozzy Osborne against Tony Iommi over the rights to the BLACK SABBATH name. Ozzy’s lawsuit sought a declaration that he is at least a joint owner of the BLACK SABBATH mark (after rejoining the band in 1997 and revitalizing the brand) and that Iommi is not the sole owner of the mark as well as a cancellation of the BLACK SABBATH federal registration that Iommi currently owns on the basis that Iommi, when he filed the application in March 1999, made a knowingly false statement to the PTO when he declared that no other person had any right to use the BLACK SABBATH mark in commerce. Today, the New York Post reported that District Court Judge John Koeltl ruled in favor of allowing Ozzy to move forward with his suit – while at the same time urging the parties to resume mediation in order to resolve the case instead of proceeding to trial. No other details have been reported. Other coverage by Blabbermouth.net. So it looks like the Iron Man will Rock On. Of course, the not-so-surprising finding from the study is that Google may be earning almost $500 million per year from domain name registrants who engage in so-called “typosquatting” who then post pay-per-click (“PPC”) ads generated by Google. Because ad platforms are the primary or sole source of revenue for these typo domains, we believe ad platforms are well-positioned to substantially reduce typosquatting. Among other responses, ad platforms could select partners more carefully, select only partners with a demonstrated record of avoiding typosquatting, and/or sever ties to partners who are found to engage in typosquatting. Furthermore, ad platforms could require that new partners showing ads on many domains post a bond that is forfeited upon typosquatting, or deduct penalties from payments to any partners found to engage in typosquatting. To the best of our knowledge, ad platforms have taken none of these steps. The report did disclose that one of the authors of the study is also co-counsel in the pending lawsuit that Vulcan Golf filed against Google back in 2007 arising from Google earning money from typosquatting domains. (A similar report by was highlighed in a October 2008 article on wired.com discussing the pending lawsuit against Google). Despite the simplication resulting from ad platforms' preferred approach, we see multiple problems with ad platforms disclaiming all responsibility for the typosquatting they fund. For one, our analysis confirms that payments from ad platforms are the sole force behind most typosquatting registrations. Further- more, ad platforms are least-cost avoiders -- able to prevent typosquatting with less effort than any other party. In particular, thanks to the semantic analysis capabilities and spelling correction skills search engines gained through their principal businesses, ad platforms are well equipped to identify typosquatting registrations. (Consider Google's well-known and strikingly accurate “Did you mean?" function.) Indeed, search engines already receive information about the domains users visit (necessary to target ads accordingly). It would be straightforward to compare these requests to a list of top trademarks, and disallow parking ads from appearing on domains that are misspellings of popular sites. But what I would really like someone to study is who are the internet browsers who travel to these typosquatting domains filled with PPC advertising after typing in the wrong domain name (and who were purportedly looking for a particular site – after all, how would there be a typo to squat upon) and who click on these PPC links instead of just bringing up one of the major search engines to find the site for which you were looking? The report explains how these sites make money (and Google’s important contribution to the business model) – but what I want to know is in the age of more enlightened understanding regarding navigating cyberspace, why do these sites make money? I previously blogged (link here) about the efforts by the City of Las Vegas to partner with local company, Dot Vegas Inc. (“Dot Vegas”), over the creation of a new top-level-domain (“TLD”) — .VEGAS (a new domain name address suffix that could be used instead of the more common TLDs of .COM, .ORG, or .NET). 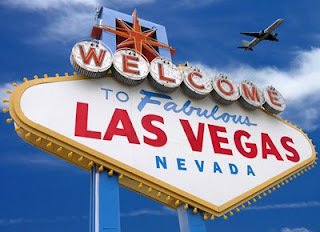 The City of Las Vegas chose Dot Vegas over The Greenspun Corporation, owner of VEGAS.COM, which had also expressed interest in being the provider of the .VEGAS TLD. The same post also highlighted the potential conflict looming between the City of Las Vegas and Clark County over who should be the only “governmental municipality” in “Vegas” benefiting from registrations of .VEGAS domain names. 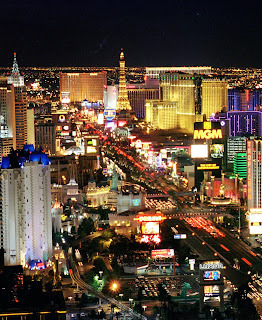 After all, most of the hotel and casinos that outsiders with “Vegas” (including “The Strip”) is technically in the unincorporated area of Clark County and not within the City of Las Vegas. I guess “Welcome to Fabulous Clark County, Nevada” doesn't have the same ring to it. As reported today by The Las Vegas Review Journal (updated article here), Clark County commissioners voted today to endorse Vegas.com’s bid to be the provider of the .VEGAS TLD, thus setting up the battle between the City of Las Vegas and Clark County over who has the superior rights to the term VEGAS. Vegas.com has offered to pay the County $1.50 for every address registered under .VEGAS or 10 percent of the gross revenue, whichever is greater (in contrast, Dot Vegas’ deal with the City of Las Vegas was for 75 cents per registration or 10 percent of the gross revenues from future registrations). [02/17/10 Update: The Las Vegas Sun also published an article on the controversy].